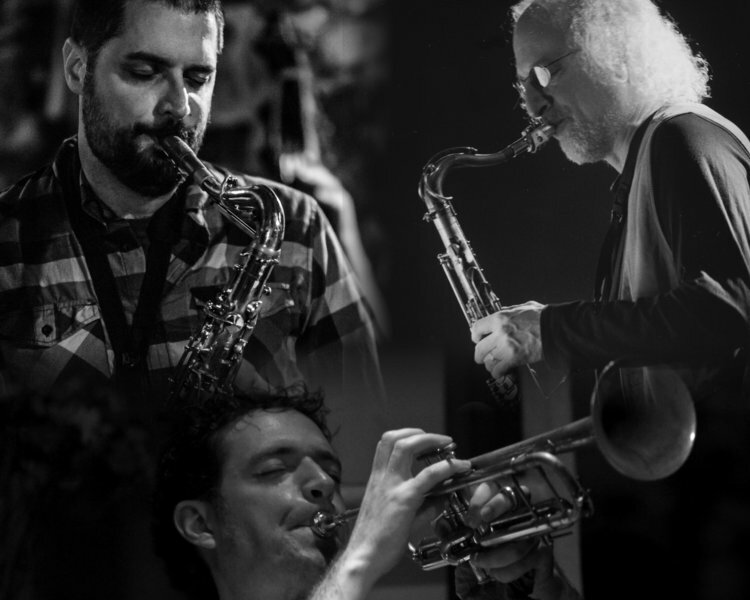 Spectral -- Dave Rempis (alto and baritone saxophones), Darren Johnston (trumpet), and Larry Ochs (tenor and sopranino saxophones) – is an intriguing ensemble. Formed in 2012, when Rempis visited San Francisco, it was his first opportunity to perform with Ochs, known principally for his work with the ROVA saxophone quartet. Rempis had already played with Johnston when the latter visited Chicago. The collaboration was an instant success, with the three having a preternatural sense of anticipation and response and an ability to construct short and long-range forms spontaneously, described by the trio as “invisible architecture”: discovered structures, rather than imposed designs...as the liner notes succinctly put it: “There was nowhere to hide during this recording session, every note staring back at its creators with fearless eyes”. But if the prospect of three improvisors being scrutinised by their phantom reflections for just over fifty minutes sounds constricting, think again...there’s an imposing grandeur to these bold constructions, as the title implies: analogous to castle ruins devoid of human presence. Sometimes, absence means more than just not being there. Spectral builds multipartite pieces with compositional logic, wending from one passage to the next via organic links and deftly responding to one another.